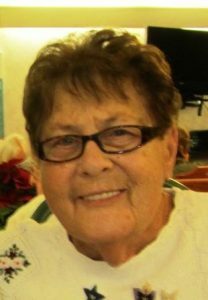 Nancy Larson Dallen, 78, a guest at Marion Manor Personal Care Home in Curwensville and formerly of Curwensville, died Friday, Aug. 5, 2016 at Marion Manor. Born May 13, 1938 in Hyde, she was the daughter of Francis Lyle Larson and Margaret (Durany) Larson Zemba. Mrs. Dallen had been brought up in the Curwensville area. She had been employed as a nurse’s aide and also had worked at the former Kent’s Sportswear in Curwensville. She was a member of St. Timothy Roman Catholic Church in Curwensville and was devoted to her Lord. After marrying Stanley Dallen on Nov. 29, 1963, they resided many years in Arizona and she loved telling stories about their life there. After returning to Curwensville, Stanley died on July 2, 2001. She was also preceded in death by her parents and a nephew, Michael Larson. Surviving are a sister and two brothers, Gloria Hixon and her husband, Bill, Lyle Larson and his wife, Patricia and Joseph Zemba and his wife, Doris, all of Curwensville, and two nephews, Brian and Jake Zemba. At the request of Mrs. Dallen, there will be no public visitation. A public Mass of Christian Burial will be celebrated at a later date.